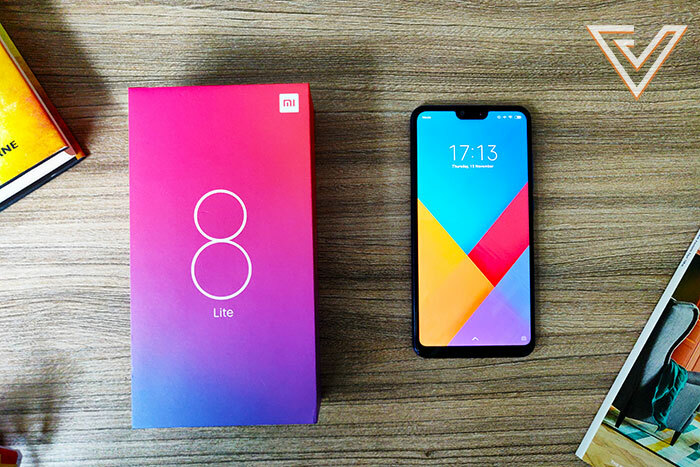 The Mi 8 Lite is an affordable mid-range smartphone manufactured by Xiaomi. At a price point of RM999, the Mi 8 Lite comes equipped with a Snapdragon 660 processor, a dual rear-camera setup with scene detection, a 24 megapixel front camera, and a 3,350 mAh battery. Xiaomi have been particularly busy over the past few months, with a heavy release schedule producing really attractive options that combine good performance levels with compelling price points. 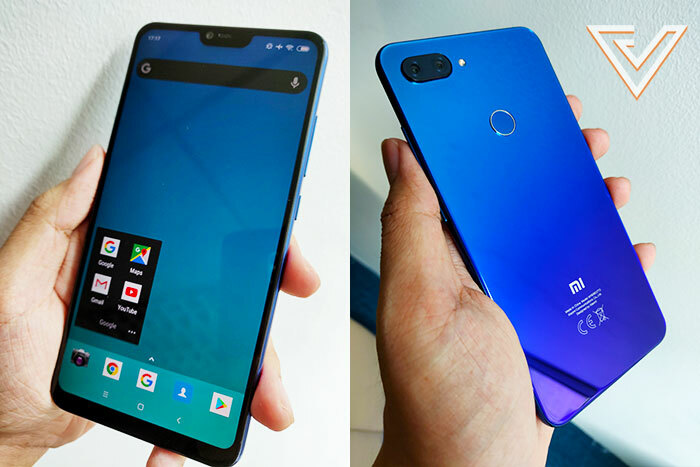 Fitting that mould, they’ve released phones like the Mi 8 SE, the Pocophone F1, and the Mi Max 3 that all circle around the RM900 to RM1,300 region, each with its own unique selling point. 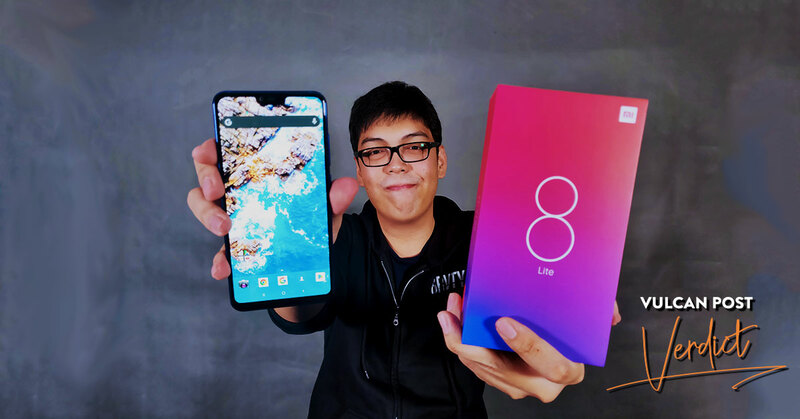 Recently, they’ve seen fit to introduce yet another addition to their family of affordable devices—the Mi 8 Lite. The Mi 8 Lite comes built like most other smartphones released in 2018—with a notched display and a glass back sandwiching its internals. Interesting to note here is the very premium build quality on offer. The glass panel on the back comes in a very striking gradient of blue/purple or orange/yellow depending on which you choose, and when looked at in detail, everything appears built securely and precisely. In the hand it feels like a phone worth quite a bit more, and when you consider that it also comes with a USB-C port for charging (something many phone within this price range lack), it makes it all the more noteworthy. The rest of the phone is pretty much what you’d expect, with a fingerprint scanner and dual-lens camera at the back complemented by the usual volume rocker, power button, and dual SIM/MicroSD card tray at the sides. The only letdown here is the lack of expandable storage, and more importantly a headphone jack, but with many other phones also following in the trend, something like this is kind of expected anyway (I still feel that phones that choose to incorporate a headphone jack have a major advantage over others). 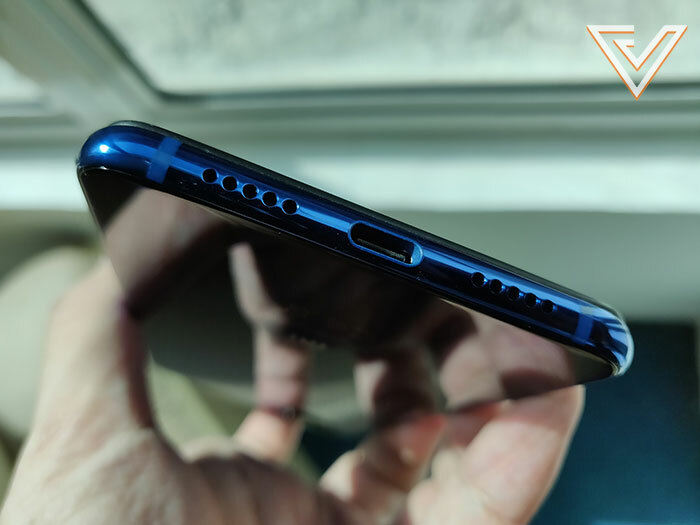 Even at a lower price point, the Mi 8 Lite comes with a USB-C port. There isn’t a headphone jack, sadly. In regards to usability, the Mi 8 Lite’s mid-to-high range Snapdragon 660 processor produces speed and performance on levels that will more than satisfy most users where everyday tasks are concerned. Multitasking between YouTube, emails, and light gaming were no problem at all, and there were no noticeable slowdowns or lag issues encountered, which I considered pretty impressive for a phone below RM1,000. I also quite enjoyed consuming media on the Mi 8 Lite, with its 6.26 inches of IPS screen doing a more than okay job reproducing vibrant colours even when compared to other more expensive devices with AMOLED displays. Touching on the subject of battery life, the Mi 8 Lite does a pretty alright job lasting until the end of the day on most cases. But while 3,350mAh of power is decent for 2018, it’s clear that other phones are beginning to adopt bigger sizes and that said, the one on this phone seems mediocre in comparison. There are problems with Xiaomi’s MIUI operating system, and some of them can be pretty annoying. The first is to do with the way the system deals with notifications—you won’t see a majority of the alert icons unless you swipe down on the notification slider. Conversely it must be noted that this extends beyond just the Mi 8 Lite and goes into other Xiaomi devices using MIUI (such as the Pocophone F1), and it would be harsh to single out the Mi 8 Lite for this on its own. While this does count as a point lost against the phone, I feel that this can and probably will be improved in the future with an upcoming over-the-air update. When it came down to photography, I was pleasantly surprised with the results. As a point and shoot camera, the Mi 8 Lite actually produced images that I would consider very good for what you pay for. In both daytime and night shots, there was plenty of detail and clarity all round, and even in low-light conditions, I found there to be minimal noise and grain. The scene detection capabilities were decent enough, although I really do think just shooting unassisted does just fine in most circumstances. 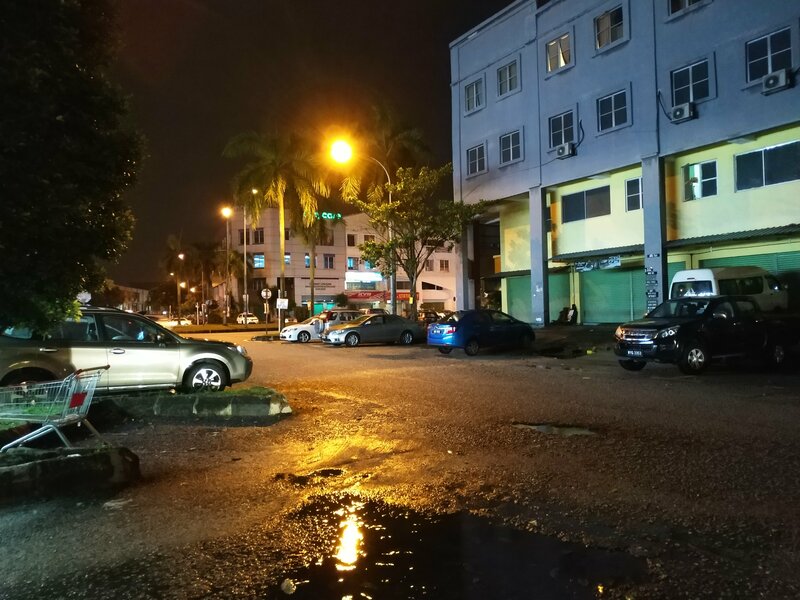 Night shots have ample detail and not as much noise. I also had an easy time taking selfies on the Mi 8 Lite. As a person known for not taking selfies all that often, I found it a more enjoyable experience than I’m often used to. Left: Normal selfie, Right: Selfie with portrait mode. Edge detection is accurate more often than not. 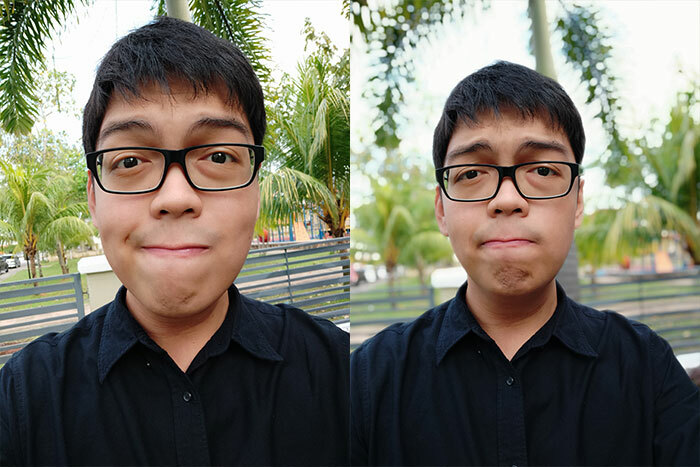 On their website and in their marketing, Xiaomi boasts about the 24 megapixel front selfie camera as something special, and when I put it to the test, I was pleasantly surprised at just how good my photos turned out on both modes (normal and portrait), with colours once again accurate and rich, and edge detection getting a pass on portrait mode. 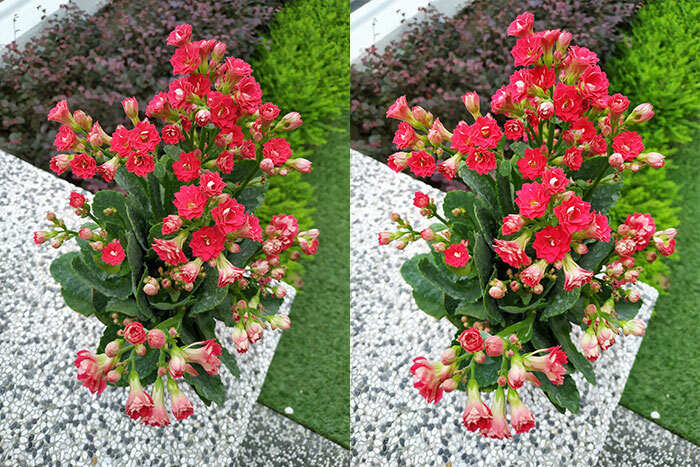 Left: With scene detection off, Right: with scene detection on. Notice how the greens become slightly more vibrant. If I had to nitpick, my only complaint would be that colour contrasts between light and dark aren’t the greatest, although there’s always the option to play around with the HDR settings or use an app to adjust your brightness settings if you see the need to go the extra mile for the ‘Gram. Ultimately, the Mi 8 Lite once again resembles another entrant in a market with so many other similar offerings, except here the key selling point is its above average camera and the polish when it comes to executing the tasks asked of it, and all of it at a price point of I can get behind. That said, I can’t help but question Xiaomi’s strategy in releasing another phone in this category when it already has the Pocophone F1 and even the Mi 8 SE that kind of compete for the same share of the market. But really, what do I know? Perhaps they feel that there is enough value in the camera to warrant the introduction of another new device, and perhaps they’re right. If Xiaomi feel that releasing value phones that overlap can serve them, then by all means do that. My verdict remains positive, however, and I still find it hard to really fault the Mi 8 Lite in the aspects that matter. 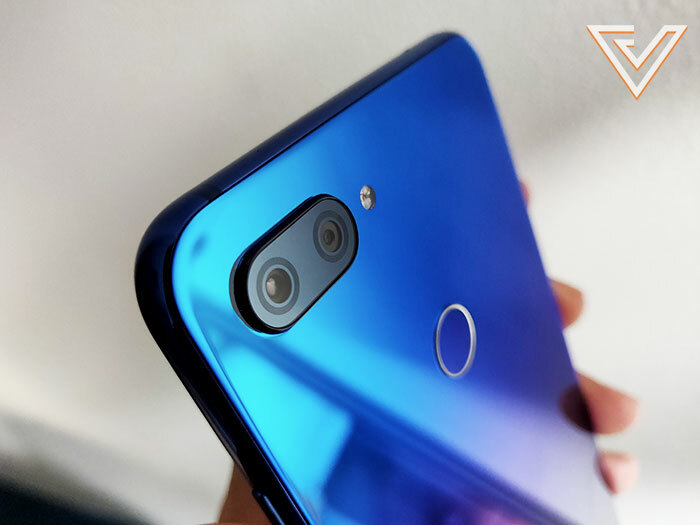 Here I don’t mean that it’s a perfect phone—there are a few nags regarding the OS and how it works, and there are also many options out there that employ some feature or another that bests the Mi 8 Lite. But for the price it demands, it pretty much does everything you ask of it with polished results, and I think that alone warrants it consideration for those in the market for a device in the affordable mid-range category. You can find out more about the Xiaomi Mi 8 Lite at their official website.